Pipe cleaning hose, ID 6, 30 m, max. 250 bar 61100470 https://www.kaercher.com/ae/accessory/pipe-cleaning-hose-id-6-30-m-max-250-bar-61100470.html The 30 m pipe cleaning hose is a highly flexible high pressure hose for pipe interior cleaning (threaded connection for nozzle R 1/8). The 30 m pipe cleaning hose is a highly flexible high pressure hose for pipe interior cleaning (threaded connection for nozzle R 1/8). 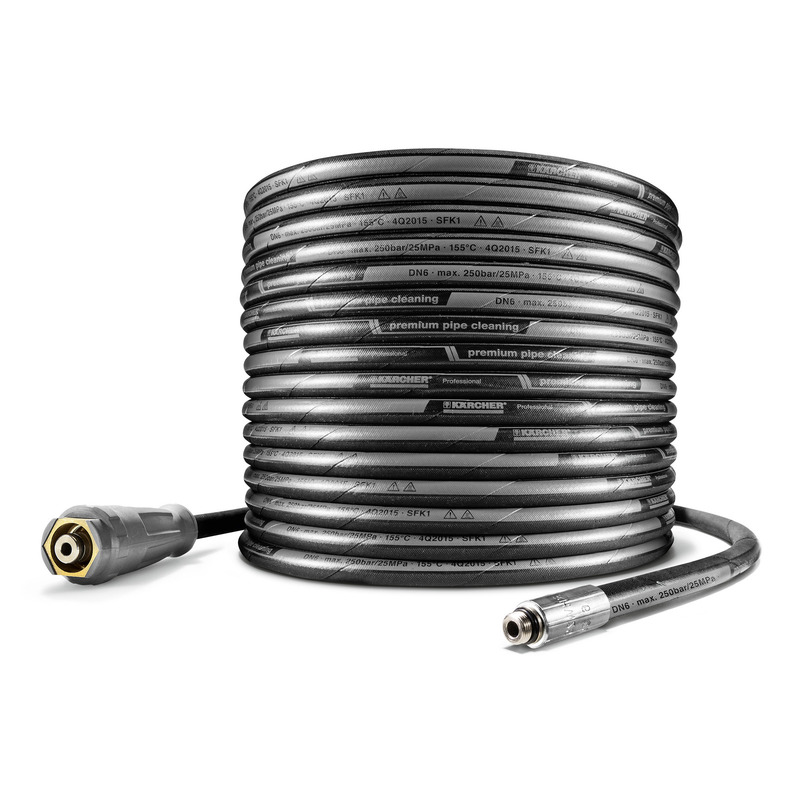 30 m flexible high-pressure hose (DN 6) for cleaning pipes up to 220 bar (threaded connection for R 1/8 nozzle). High wear resistance and long service life. Pressure resistant up to 250 bar.